Dryness of the skin, hair and nails increases with age, physiologic, environmental, and medical conditions. It affects 40% of people over 18 years old. Topical therapies to treat dryness are limited by the skin’s natural barrier function. Why BeautyScoop? 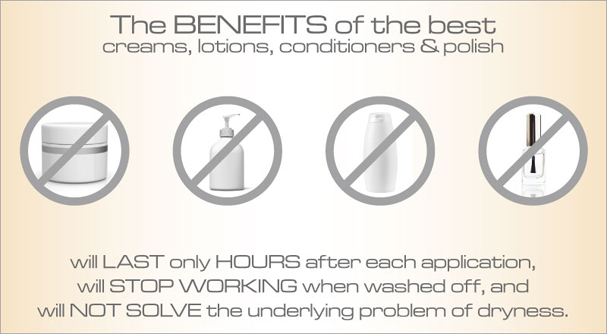 Because the benefits of the best lotions, creams, conditioners and polishes will last only hours after each application, will stop working when washed off, and will not solve the underlying problems of dryness. Ingesting a balanced diet may not be enough. Beauty from Within: Supplementing a Healthy Diet? 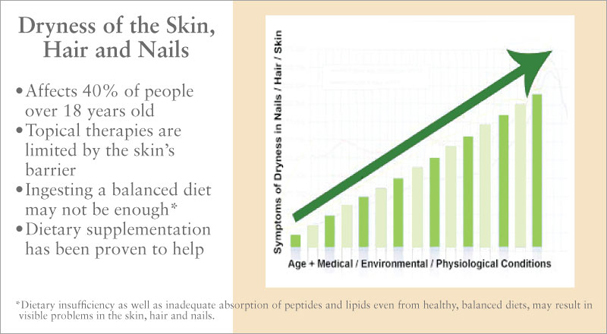 Dietary insufficiency as well as inadequate absorption of peptides and lipids even from healthy, balanced diets may result in visible problems of the skin, hair and nails. Nutritional supplementation has been shown to help. Patented BeautyScoop®, based in nature, and backed by science, is powerful, proven and peerless. Why BeautyScoop? Because it works! Why BeautyScoop? Visible Results in Just 3 Weeks! 99% of users noted improvement in their NAILS within 3 weeks. 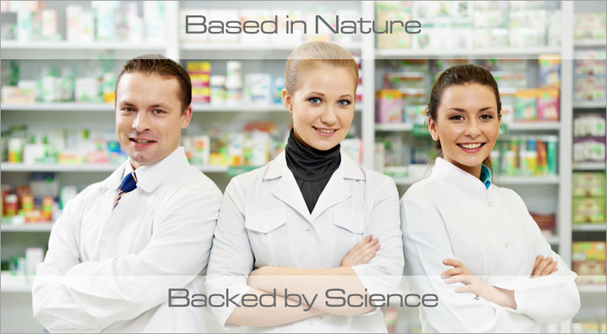 84% of users noted improvement in their HAIR within 3 weeks. 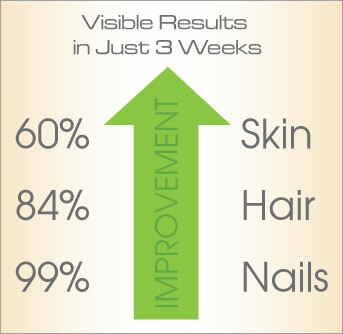 60% of users noted improvement in their SKIN within 3 weeks. Get visible results in just 3 weeks. 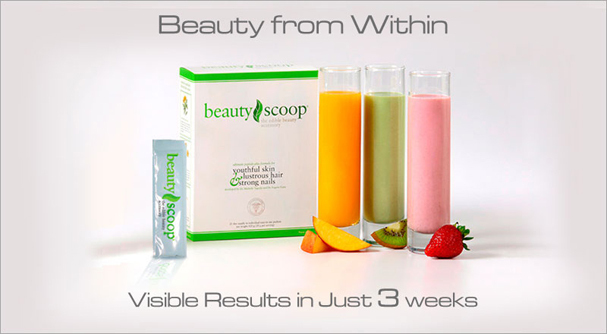 Discover the patented beauty breakthrough that is BeautyScoop®. Know better beauty! Empty one packet or one level scoop into 4-8 ounces of any hot or cold beverage and stir. Consume within 30 minutes. 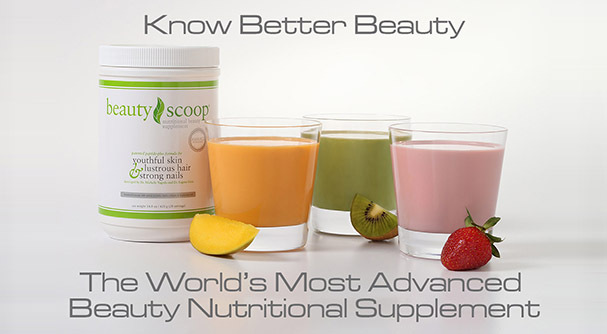 Fun Fact: BeautyScoop® can be mixed into a cocktail because alcohol improves its absorption!